Phyllis Kay Anderson was born May 20, 1959 in Drumright, Oklahoma to Richard and Betty Anderson. She was the last of eight children and, as her siblings joked, the only one privileged to be born in an actual hospital. As the youngest, she was affectionately called “Kay Baby,” a nickname she had her entire life. She graduated from Drumright High School in 1977 and then attended Central State (now UCO) on a scholarship. She majored in physical education, but after graduation she went to work for Southwestern Bell, later AT&T. In 1985, she transferred with the company to St. Louis. She retired after nearly 30 years with the company, and moved back to Oklahoma City in 2014. Kay was a ball of energy, strong willed, fiercely loyal and so hilariously funny she’d leave you in tears. She cussed worse than ten sailors on shore leave, and that was just part of her charm. She fussed and fought constantly with her siblings but in the Anderson family that was a sign of affection. They always had each others’ backs. 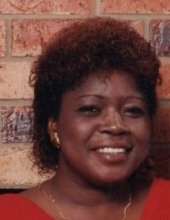 Her nieces and nephews adored her; she was the fun aunt who kept you laughing, took you to amusement parks and slipped you $10 when your parents weren’t looking. Kay passed away after battling Parkinson’s and Lewy body dementia for several years. She was preceded in death by her parents, as well as her sisters Judy Beth Anne Reece, Regenia Woodberry, Altheda Anderson & Patricia Butler, and brothers Harry “Bo” Carter, Richard Anderson and Donald Ray Anderson. Those who loved her will always remember her as the tough, tenacious, vivacious person she once was. She is loved and deeply missed. To send flowers or a remembrance gift to the family of Phyllis Kay Anderson, please visit our Tribute Store. "Email Address" would like to share the life celebration of Phyllis Kay Anderson. Click on the "link" to go to share a favorite memory or leave a condolence message for the family.